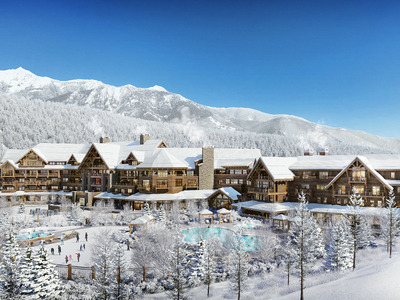 Courtesy of Montage InternationalA rendering of the resort, which is set to open in 2021. The $US400 million luxury hotel is set to open in 2021. 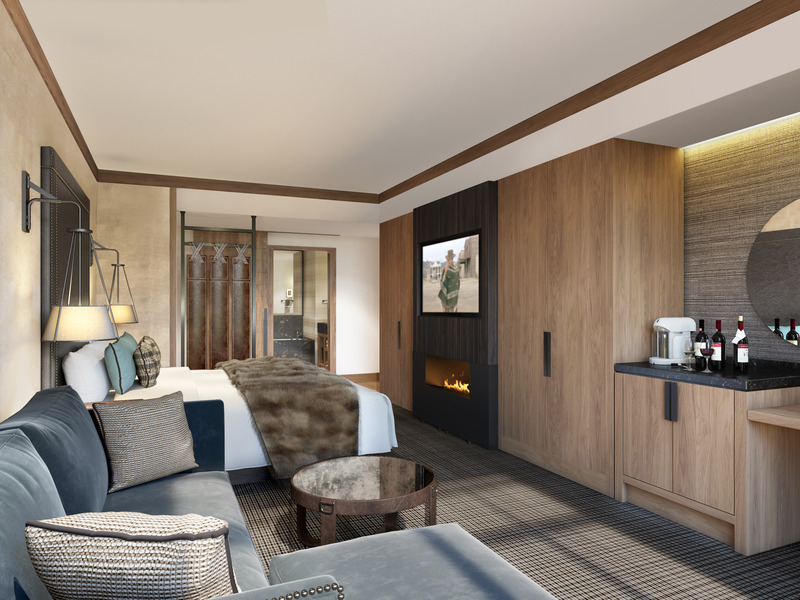 A luxury hotel company that operates hotels in California – and soon New York City – is betting on a location that usually brings to mind ruggedness rather than luxury: Montana. 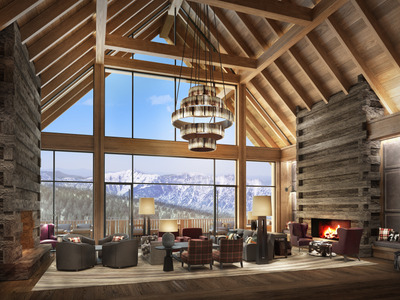 Montage International, with private equity firm CrossHarbor Capital Partners LLC, started construction of a luxury hotel on a $US400 million property in Big Sky, Montana, in September 2018,Bloomberg reported. It currently operates hotels across a range of more traditionally regarded luxury locations, such as Beverly Hills and Laguna Beach. The hotel, which will have 150 rooms and 39 residences, is expected to open in 2021 and will include a three-meal restaurant, lobby bar and lounge, market, and pub. That’s in addition to its recreation room, complete with bowling alley, indoor lap pool, family swimming pool, fitness center, spa, ski lockers and skier services, and 12,870 square feet of meeting and event space, according to Montage’s website. Courtesy of Montage InternationalThe resort will include 150 rooms and 39 branded residences. The resort will offer ski-in, ski-out access to the 5,800 skiable acres of Big Sky Resort, the second largest ski resort in the US by acreage. It’s also a summer destination, with hiking and mountain biking trails and world-renowned fly-fishing rivers. Courtesy of Montage InternationalA rendering of a bedroom at the resort. Although Montana is home to the prestigious Yellowstone Club, a private resort where billionaires and celebrities such as Bill Gates and Justin Timberlake go to ski, it’s not a state typically associated with luxury hotels. But some signs indicate that it might be an up-and-coming luxury destination. In 2015, Triple Creek Ranch in Montana was named the best hotel in the world. Financier Morton Fleischer saw enough potential in Montana that he built a 7,000-acre luxury ranch there 15 years ago, which he’s now selling for $US50 million in a package deal that includes a smaller ranch in Arizona.